OVERLAND PARK, KS--(Marketwired - December 06, 2016) - LockPath, a leader in governance, risk management and compliance (GRC) solutions, today announced the company is being honored with the 2016 GRC Value Award for IT Governance, Risk Management and Compliance. The GRC Value Awards program recognizes real-world implementations for GRC programs and processes that have returned significant and measurable value to an organization. Surescripts, a health services company that supports e-prescription, electronic transmission of prescriptions, and general health information exchange of medical records, transformed its IT risk, compliance and governance processes using the LockPath® Keylight® Platform, earning LockPath the award. Surescripts purchased the Keylight Platform to better manage IT risks across the organization and to streamline processes to ultimately realize the value of improved risk management. With Keylight, Surescripts can now gather key performance metrics from tools and assets across the enterprise to measure and trend risks. Surescripts configured Keylight to present consumable information to executive management and the board of directors on the rolling top five risks the company faces, as well as how risks have trended and how the risk profile has changed by quarter. The process of risk identification, risk acceptance and management support has decreased from six months to two weeks. This is estimated to be $30,000 in savings per risk, which, when multiplied across all risks, represents a significant impact on the bottom line. "LockPath has demonstrated proven business value in IT GRC through its work with Surescripts," said Michael Rasmussen, GRC Pundit for GRC 20/20 and internationally recognized expert. "These successes are a milestone toward advancing GRC maturity, enabling the organization to achieve greater efficiency, effectiveness, and agility in GRC processes and broader business operations." More effective communication with the business, which leads to better and faster decisions. An efficient process for identifying and accepting risks and correlating those risks to business objectives and management controls. Regular reporting of risk trends to the board and to management, demonstrating understanding and management of risk. Improved accountability through standardized workflow to manage risk. Surescripts is now able to contextualize risk at all levels of the company, thanks to Keylight. The improved communication and process of risk identification shows how efficient and agile Surescripts' IT GRC program has become. The strengthened communication to the board on risk has improved the decision-making process. And the reporting of organizational metrics has made the ongoing risk management program efficient, effective, and agile. 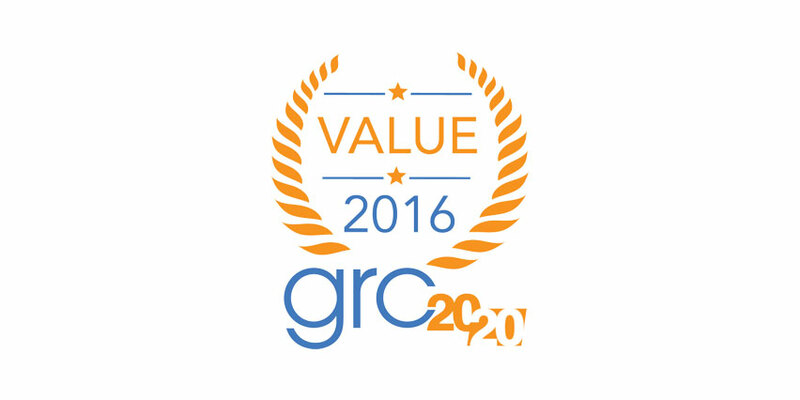 "LockPath is honored to be recognized by GRC 20/20," said Chris Caldwell, CEO of LockPath. "Keylight optimizes IT GRC processes, freeing up employees' time for more strategic projects. Our work with Surescripts is just one example of how we are partnering with our customers to help them realize the potential of their IT GRC programs." Award recipients are acknowledged on the GRC 20/20 blog. To learn more about this award-winning case study and the Keylight Platform, visit lockpath.com. Surescripts is committed to unleashing the potential of American healthcare by creating a more connected and collaborative healthcare system. Our nationwide health information network connects doctor's offices, hospitals, pharmacists, and health plans through an integrated and technology neutral platform. For more information, go to www.surescripts.com and follow at twitter.com/surescripts. LockPath won the 2016 GRC Value Award for IT Governance, Risk Management and Compliance. The GRC Value Awards program recognizes real-world implementations for GRC programs and processes that have returned significant and measurable value to an organization.